Ink-a-Doodle Creations: Yippee Skippee Madness!!! 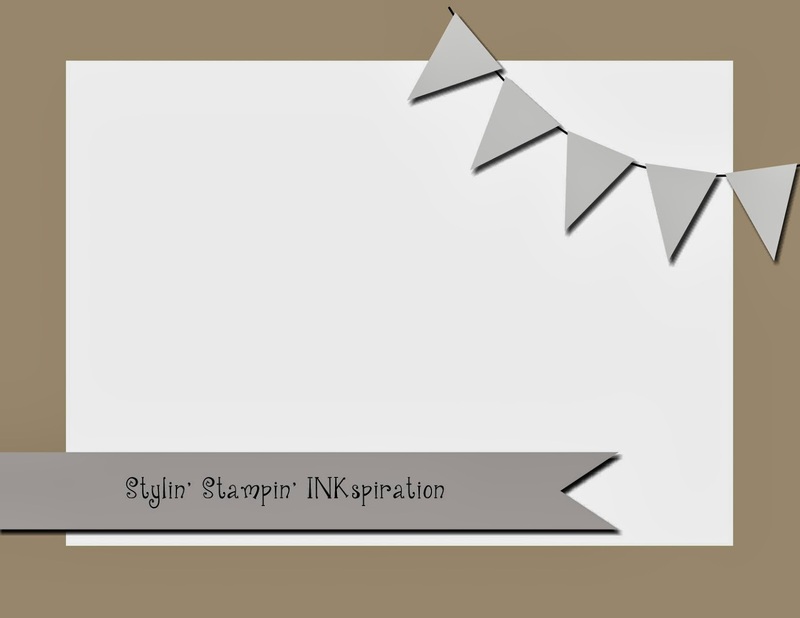 Good morning bloggers and thanks for joining me here with Stylin' Stampin' INKspiration. Today is a Monday, and you know what that means.....its time for another great challenge! This Monday is our Card Sketch Challenge. Make sure you head over to our main blog to check out all the details and join us for a little sketchy fun! One of my new years goals was to stay on top of making and sending out birthday cards for family and friends. Thought you might like to know, that so far, I am doing well! This card is going to be heading to my husbands cousin for her Birthday! I just loved this layout, cause it was fun and easy! The best kind, right?! I went with the mosaic madness theme here, cause Mondays are always a little full of madness around this household! Kept the inside pretty simple with a whisper white layer, stamped along the side with matching mosaic tiles. Thanks for stopping by. I hope I have INKspired you to create and play along with our fun sketch! Love the color combo. The embossing is a nice little bonus. Great job! I love your take on the sketch! The ruffled ribbon is prefect for the little banners to hang from and the colors are gorgeous! Love your card...I need to pull the Mosaic Bundle out again to play! Love the colors and the embossing. Very nice. I love your card! The ruffle trim on the banner is a nice touch. So cute Cynthia! Love how you used all the different patterns and textures to coordinate.